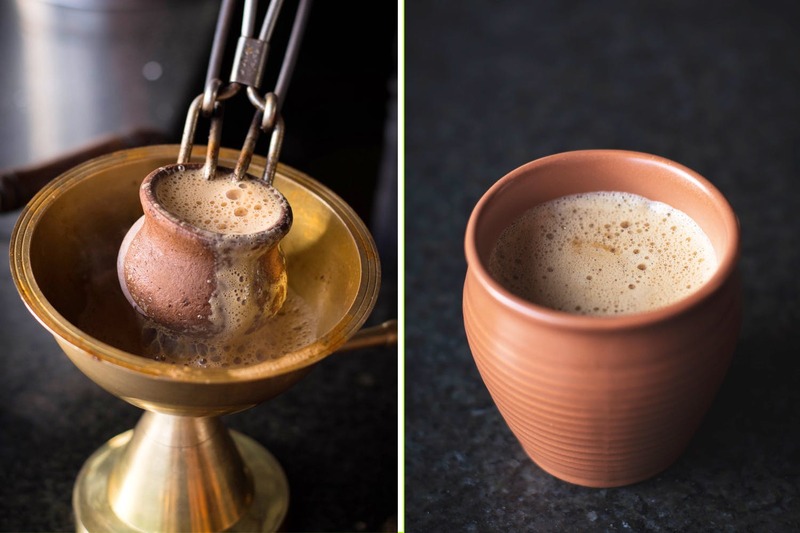 Located opposite Zensar IT Park, Chai La in Kharadi is the only place in Pune that has amalgamated our beloved kadak chai with the smoky-earthy flavours of tandoor. The result? Behold the tandoori chai, a one-of-a-kind beverage that you need to try right now. The brainchild of Amol Dilip Rajdeo, tandoori chai is definitely the latest talk of the town. What makes this beverage different from our regular cuppa tea simply lies in the process of it being made. Medium-sized clay pots or kulhads are first roasted in a piping hot tandoor. Once done, semi-cooked tea (with a tinge of spices) is poured over these charred kulhads. The tea immediately bubbles up and creates a thick layer of foam over the kulhad. In the end, the final beverage is served in a clean kulhad with either a bun muska or biscuits. Coming to the taste, the tandoori chai did have a hint of smokiness in the flavour. It also had a strong earthy aroma which adds to the entire experience. Priced at INR 20, this one is a must-try for all those tea lovers out there. If you’re not a fan, you can always opt for the tandoori coffee or the turmeric milk at Chai La. There’s always a first time for all things good and this tandoori chai sure needs a shot.